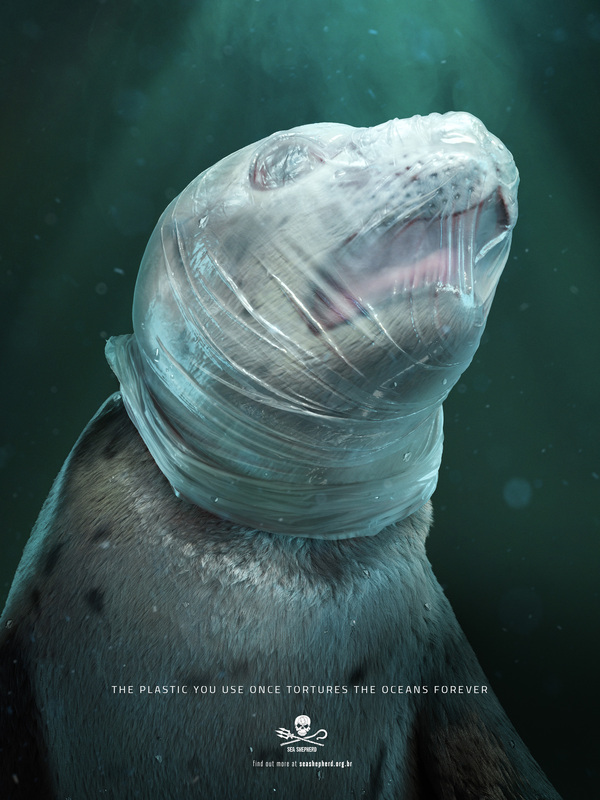 Sea Shepherd, a global NGO focused on conservation of marine wildlife, is using depictions of tortured animals to raise awareness of the impact of plastic debris. A simple plastic bag seems harmless, but it can represent extreme suffering – and even death – for thousands of animals in the oceans. 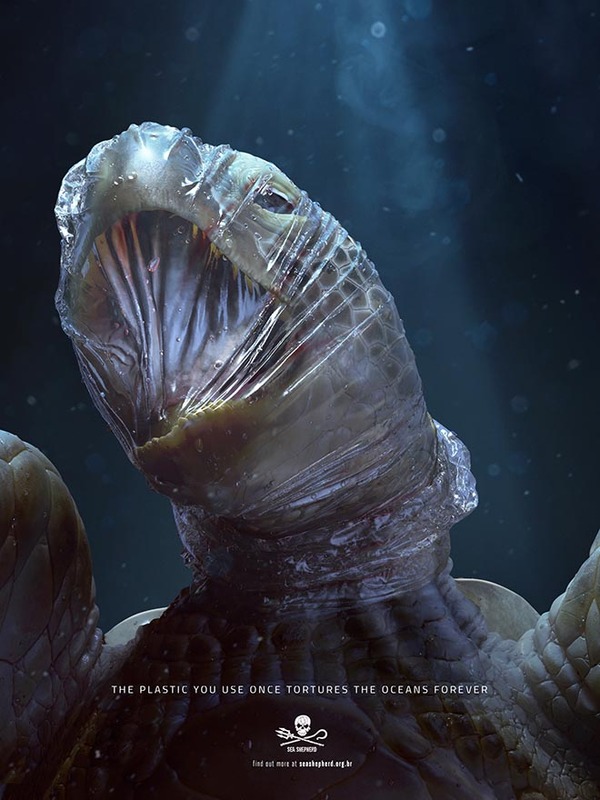 Two key images show a turtle and a seal suffocating, their heads trapped in plastic bags. The caption: “The plastic you use once tortures the oceans forever.” In Portuguese: “O plástico que você usa uma vez tortura o oceano para sempre”. The ads show seals and turtles in extreme agony after coming in contact with plastics from items used in our daily lives and generally discarded without any special care. In addition to the print and posters, social media and digital media pieces have been developed, and further information about the negative impact of plastics in the oceans is available at www.seashepherd.org. The online content also highlights tips to reduce the use of plastic on a daily basis. The Sea Shepherd Plastic Kills campaign was developed at Tribal Worldwide Brasil, São Paulo, and DDB Centro Guatemala, by chief creative officers Carlos Fonseca, Víctor Pardo, Julián Núñez, executive creative director Guiga Giacomo, copywriters Mateo Solórzano, Fidel Lombardi, Rodrigo Passos, Julián Núñez, art directors Ricardo Schreiner, Leonardo Siqueira, Walter López, account manager Marcel Popovic. 3D graphics were produced at Notan Studio, São Paulo.